Sara is only 21, but has established herself as one the most elite archers in the world. She has won 7 world cup medals in 2016 alone, 6 of which were gold. She is the second in the world in the world of compound archery but has now made the jump to recurve which she documented thoroughly on her social media and blog. 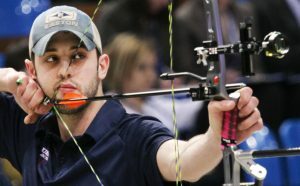 He does barebow archery but has also broken the world indoor record which is only one of his many records and titles. This South Korean superstar beat his predecessor’s records and won several big titles. He has had a very impressive year and season and is making waves on both the national and international scene. Stephan Hansen is one of the youngest shooters in the world. This Danish archer won the 2015 World Championship, which was an extra sweet victory for him since it was in his home country. Since this win, he has ensured not to miss the podium in the World Cup championship. From France to Las Vegas, Hansen is well decorated and very experienced. Though she is young and new in the world of archery, Mackenzie successfully represented the United States in her first Olympic Games. She ranks first in the United States and 16th in the world. These are just a handful of the archers who are some of the current top in the entire world.